We must learn or change our lives to be compelled by love. In a life full of love there is less hate, less pain, no judgement and it comes with more love, more grace and more mercy. This means that my life and your life has to live a life of love. Love of God and a love of people. It is a driving force our lives. Live a life of love. Be compelled by love. Show more and more grace and mercy on others. Holy Spirit move in me and allow me to experience opportunities to share life, show love and give hope. 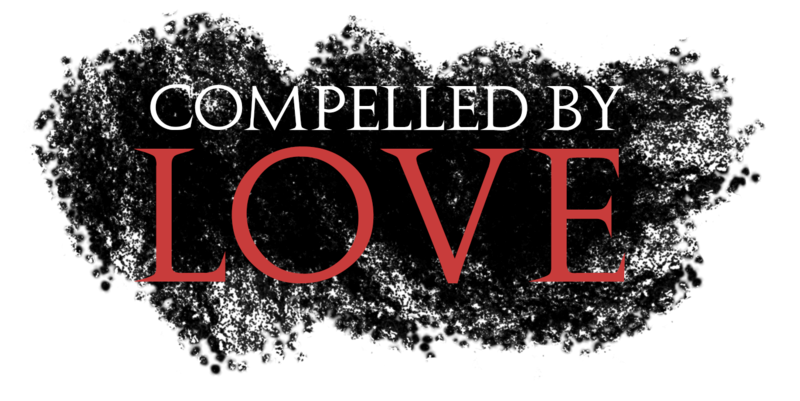 I want to be compelled by God’s love. I want to share more and more of God’s grace. I am choosing today to be compelled by love. So I’m back from Haiti and still trying to process everything. Honestly, I am trying not to cry every 5 minutes when I think about the orphans and the great people we met there. 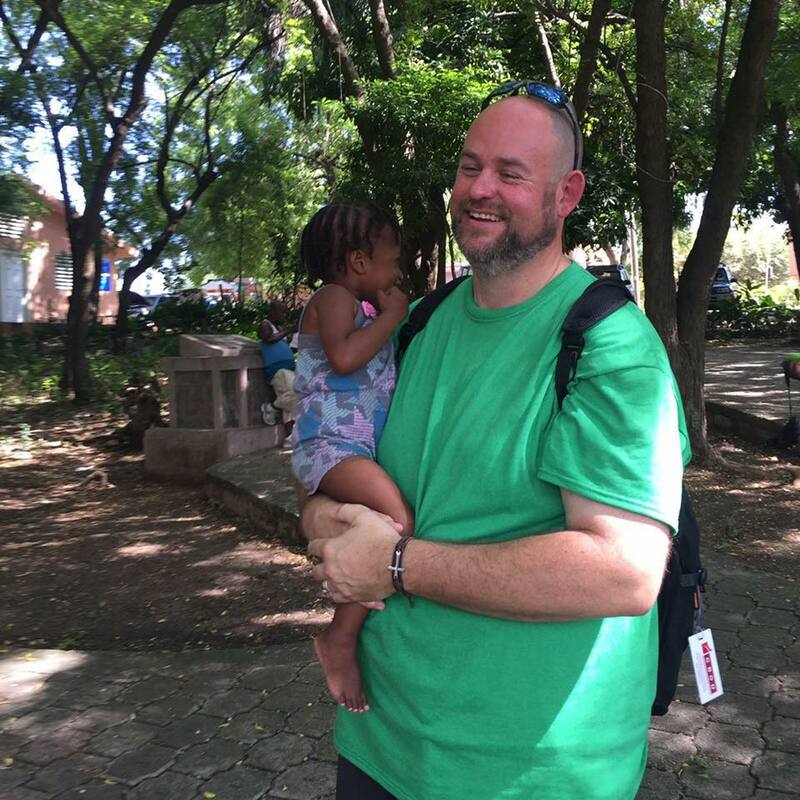 It has been a long time for me to go out on mission like Haiti. I have been to Mexico but still not quite the same as what I saw there. I have done multiple home missions from inner city, local, smokey mountains, and even missions in other states. However, it does not compare to what I saw or experienced last week. What I know is that my life and my view of my own country will never be the same. I am glad I live in the states but I do believe that Americans have gone way off the deep end when it comes to how we live and how we love. It is not that I ignored it all before but going to a very poor country opened my eyes even wider. What I realize is that I am truly blessed by God with a family that loves me, a wife that loves me (most days) and everything I really need living wise. I also realized that the rest of the world needs a lot more love and attention that is being given to it. 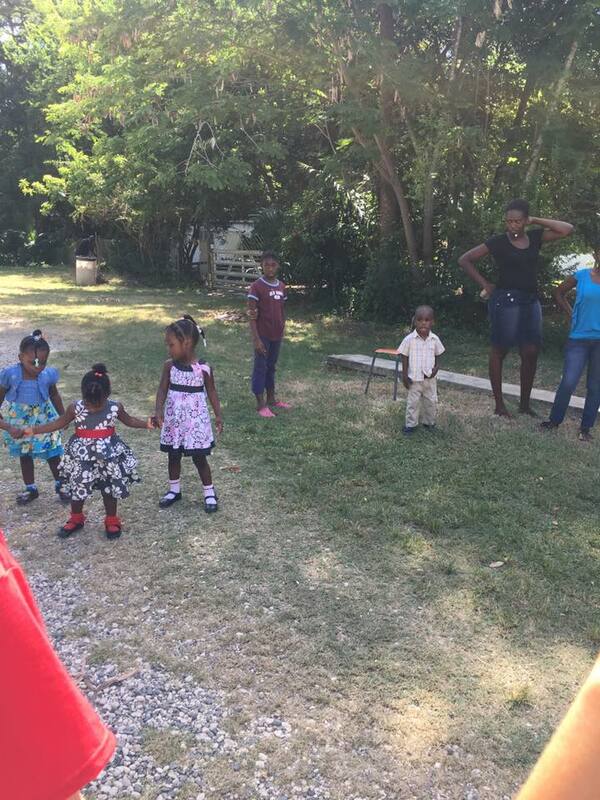 I went to multiple orphanages this past week and what I learned is that every child was in a place of desperation for deep, heart felt love from someone. It was then that I became dad to many kids that just wanted attention, a hug or someone to color with. I absolutely loved hanging out with these wonderful children. 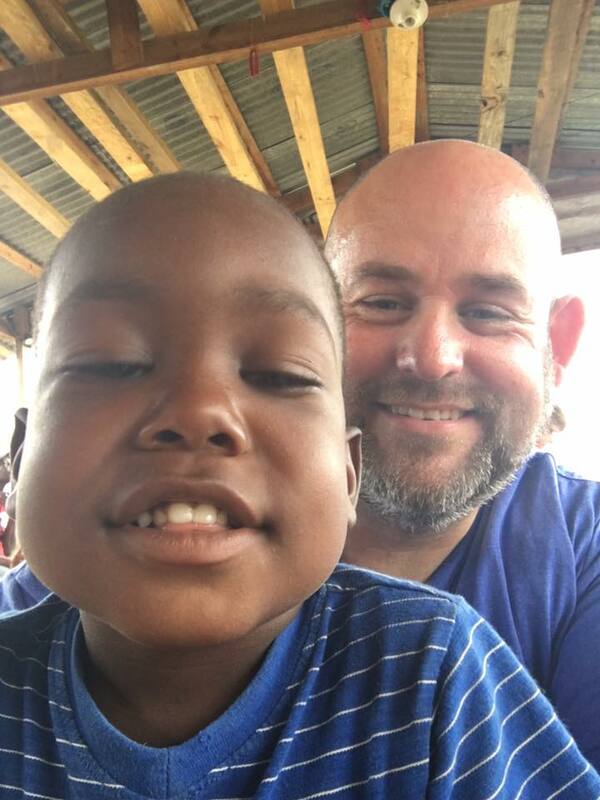 I loved praying for the young man that was deaf and dumb and instead of God healing him, he healed me by allowing this boy to grin from ear to ear and give me the biggest hug I had all day. My eyes were opened to the fact that I complain about my food sometimes and these kids will be lucky to get more than one meal a day and maybe no protein at all. The Kore Foundation is doing great strides to help people and the children but they can’t do it without our help. I never realized that brain development was tied to protein intake and if these kids do not get a least some protein that they will not develop correctly. And yet…..I get what I need every day…. My heart sank as I held a young girl that obviously had some mental challenges and I could help make a difference. I saw a young boy that had yellowing hair and all due to malnourishment. I saw kids digging in the trash pile looking for something to have for that day and I sit in my home comfortable with all the food I need. It hurts…real bad….but what can one person do? I am realizing that I can make a big difference and that is by changing my life to not focus on the physical aspects of life but more on the life of others. 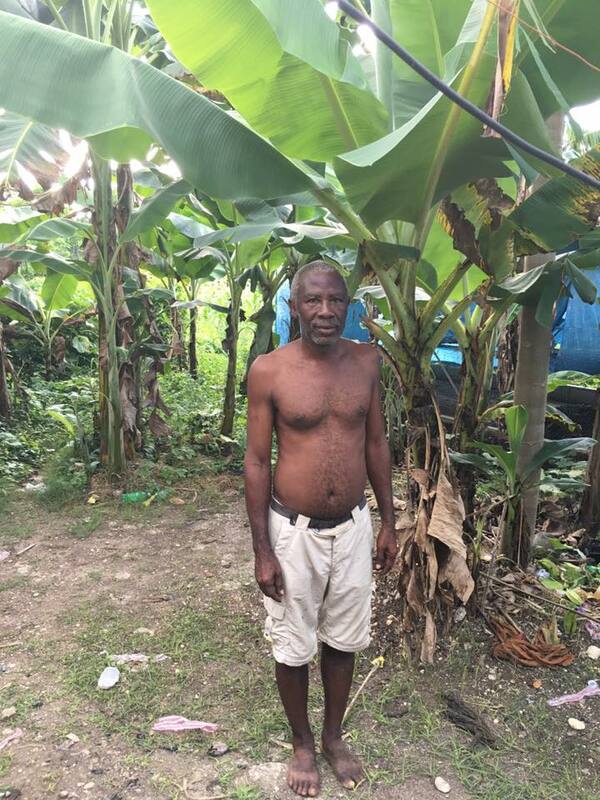 It was Jesus that said “Whatever you do unto these, you have also done unto me.” What else can I do God….you broke my heart in Haiti. I know what I can do…change one life…..yes…..one life. Man, that says it all doesn’t it? 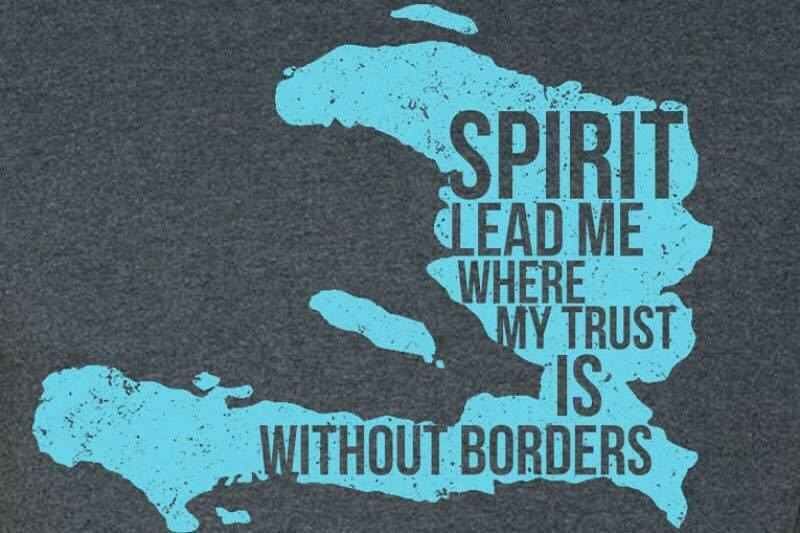 All Haiti needs is more Jesus. All the orphans need is more Jesus. All the families need is more Jesus…All I need is more Jesus. All….I…Need….is more Jesus…. A progressive revelation of an ageless revival for our generation is growing in our hearts. It is for those who went before us and for those who are yet to be born. Yet, the question of how the vision is to be implemented remains. Vision is the bridge between the present and the future. Without it we perish or go “unrestrained,” as the New American Standard Bible puts it. Vision gives pain a purpose. Those without vision spend their lives taking the path of least resistance as they try to avoid discomfort. The level of sacrifice that a vision requires will determine the size of people who follow. Sacrifice separates the small from the great. Consider the example of a young man who has just graduated from high school and joins the military. As soon as he steps off the boot camp bus, the sergeant starts yelling at him. He has to march over to the barbershop and get his head shaved. Then he is up early in the morning to exercise with someone screaming at him and talking about his mother. Just a month before, he was in high school. He would have never put up with any of this nonsense from his teachers or classmates. But somehow his whole mindset has changed. Why? He is enduring the “cross” so to speak, because of the joy on the other side of it. He realizes that boot camp is preparing him for a greater destiny. His vision of the future is giving his present physical discomfort meaning and purpose. So many of us go through life not understanding the purposes of our trials. We spend our days walking a crooked path, believing that every obstacle in the road is a problem and something to be avoided. The second part of this Proverb says, “But happy is he who keeps the Law.” The law isn’t just something God gave to Moses. It is also the restraint, boundaries and disciplines we develop around our life to direct us through obstacles instead of around them. These obstacles become baptisms of fire that forge our character so we can attain and maintain a life of greatness. Vision is what we see, but it is also the way in which we see. Vision is the lens that interprets the events of our life, the way we view people and our concept of God. If we have a scratch on our glasses, it may seem like everybody around us has scratches too, but the problem actually lies with us because our vision is impaired. Jesus said that our eyes are the windows of our heart. Paul prayed that the eyes of our heart would be enlightened. In other words, we perceive with our eyes but we see with our hearts. Our minds receive images from our eyes but our heart interprets these images. If our heart becomes bitter, jealous, hurt or in someway infected, the lens of our heart is distorted. What we perceive is happening and what is really going on could be two completely different things. Jesus said, “You will know the truth and the truth will make you free” (John 8:32). The word truth used here is not referring to the Bible itself, (although all truth is rooted in the Bible) but here the word truth means reality. Jesus is saying, you will understand what is real and that will free you. So many of us live in a virtual reality. The way we view life can feel and look real, or make perfect sense, but still not be real at all. Have you ever watched a good movie and gotten totally into it? You experience all the emotions of real life. You may even leave the theater still “feeling” the movie, but it was just a movie? it was never real. The truth is: we see what we believe to be true. Another way to put it is, if you have the wrong pretext you will misunderstand the context. Having a revelation of what is real will deliver us from a life of torment that virtual reality often causes. Therefore, the things we believe to be true determine the way in which we interpret life. These “things” are called “core values.” Core values are the lens or eyes of our heart. It is important for us to realize the incongruence between what our core values presently are and what we really want them to be. Often, the things we say we believe and the things we actually believe are not the same. We must understand that it is not the truths that we believe in our head that are our core values, but rather the ones we believe in our heart. 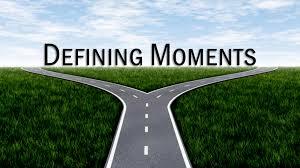 The things we perceive to be true determine the way we respond to the world around us and to God who lives within us. These core values also help define the part of the flock that we find ourselves called and attracted to. The children of Israel experienced this principle when they came into the Promised Land. Joshua assigned land to them according to their tribes and divisions (Joshua 18:10). In other words, they received land according to their diverse visions. For instance, if they had a vision for farming, they probably did not go with Caleb to the mountain country but instead were given land that best facilitated their vision. Therefore the land they were given and their vision was congruent. From this perspective, it is not very hard to see how some church splits happen. Sometimes pastors, in their zeal to build their churches, attract people that have a vision for things that their churches or “land” (metaphorically speaking) will not sustain. This dual vision eventually ends up in di-vision. True Godly vision consists of foresight, insight and oversight that come from His sight. Foresight is like looking at life through a telescope. This outlook allows us to know what is ahead as it connects us to our future. Foresight is the element of vision that helps life make sense and gives us the motivation that we described earlier. Insight is like viewing life through a microscope. This perception gives us an understanding of why things happen in life. It also helps determine the underlying motivations of the heart. Oversight puts life into context. It is like flying over our house in a helicopter. There is a perspective that we can only receive from this vista that helps us understand where we are with respect to where everything else is. The sons of Issachar are great examples of this kind of vision. The book of I Chronicles says that these men understood the times and had knowledge of what Israel should do (12:32). People that are blessed with this type of vision often have great wisdom concerning the seasons of life. His sight assures us that the vision we have is from God. A vision from the Lord creates a mission from heaven. This is illustrated in the life of Moses when he went up on the mountain, received a vision of the tabernacle, and was told to construct it according to the pattern that he had received. (Exodus 24:16-28:43) Visions like this are just “pipe dreams” without some sort of administrative plan to complete them. A lot of people have lofty ideas about things they would like to accomplish for God but they seem to have no sense of how to see the dream fulfilled. There are entire books dedicated to this subject, therefore, I will just give an overview of how to accomplish a vision. The first part of accomplishing any vision is to take it from the unseen world and bring it into the natural realm. This can be accomplished by simply writing down the vision. Articulating the vision on paper pulls the dream that is in your spirit (that no one can see but you) into the visible world so that others can capture it in their own hearts. Tools that help to visualize the mission such as architectural drawings, models, testimonies of others who have accomplished similar dreams, or visits to places that have a common purpose are all helpful in capturing and defining the vision for both yourself and others who will come alongside and help. Who do you think will do the best quality work and be the hardest worker? Vision causes people to love their work because they can see the big picture. Someone once said, “If you want to build a great ship, you can go out and find some talented craftsman or you can find a person who loves the sea.” Imparting God’s vision to the team around us is the single most important factor in seeing the mission accomplished. From these two verses we see that although the vision must be from God Himself, men are to help develop the plan that brings about the fulfillment of the vision. Notice how Solomon highlights the fact that developing plans in a vacuum, (without the expertise and insight of others who have different gifts and perspectives than we do), will ultimately end in frustration. People often disguise their fear as wisdom when they enter into a supernatural mission that can only be accomplished with the help of God. Moses had this problem when he sent the twelve spies in to the Promised Land to determine where they should enter. Ten of the spies misunderstood their mission and somehow thought they were being asked whether or not they should take the land at all. This type of misunderstanding of the roles people are invited to play in the mission has caused the demise of so many would-be miracles, paralyzing the church of the living God. For years, the people of God have often settled for what can be accomplished by human effort and ability, because we have allowed the opinion of faithless people to determine what we will achieve, instead of being faithful (faith-filled) to the vision we saw “on the mountain”. This is a perversion of the gospel of the kingdom. We should never settle for anything less than what God told us to do. Goals are simply the vision broken down into smaller pieces that are measurable in time and space. In other words, they are specified parts of the mission that we will accomplish by a predetermined date. Many people don’t like to set goals because they think that if they are not able to accomplish them on time, they have failed. The truth of the matter is that, “If you fail to plan you plan to fail.” Great leaders know that setting goals is what gives the mission a sense of urgency. Urgency is a friend to managers as it sets the pace for those who are carrying out the mission. If wisdom is used in goal setting, very little management is needed to motivate the workers since urgency manages them. However, be careful not to give your workers more to do than they have the faith to accomplish in a given time period. If it is too much, they will not even try, just like trying to catch a bus when it is already a block ahead. You probably won’t even run after it, as there is so little possibility of you catching up to it. On the other hand, if the bus just starts to pull away from the curb when you get there, you will probably move out of your comfort zone to try to catch it. Yet, setting goals too low will not create a sense of urgency at all. People will not be very motivated and it will result in a lot more work for the managers. The final stage of seeing the mission accomplished is establishing your steps. Proverbs says, “The mind of man plans his way, but the Lord directs his steps” (16:9). Psalms says, “The steps of a man are established by the Lord, and He delights in his way. When he falls, he will not be hurled headlong, because the Lord is the one who holds his hand” (37:23-24). Steps are your day-in, day-out walk with God: the step-by-step, moment-by-moment, hour-by-hour decisions you make and the things you do that take up your time and use up your life. When your vision is honestly birthed by God Himself, He will be delighted to direct your steps. The most important thing to remember about your steps is that they should be found somewhere in your mission. Go back through your planner from the previous month and retrace your steps. Does it look like they are directly attached to your mission? If not, either redefine your mission or redirect your steps. Remember, history is at stake. I have been really focused on community and what it means and honestly how it affects my walk with Christ. I keep looking to Scripture and seeing how Jesus and the Disciples were together most of the time. They did life together. Today we are not quite as physically close in community as we once were but through things like social media we can still have community together and even deep relationships. Now I know so many people feel that social media is pulling people more apart but is it really? If it weren’t for FB, Twitter, Instagram, Snapchat, google etc…I wouldn’t be able to see those awesome pics of people I knew from high school just because I do not physically live in Texas any more. Here in this passage we get a glimpse of true community…Fellowship, teaching, communion, meals, prayer, support, accountability etc. Now, I am on a couple different leadership teams and also some accountability groups. I know what it means to be physically in community. I am also starting a new faith community that is grounded in being around tables in community as well as church. However, what I realize is that we are not limited to physical interaction to be in community. We can have an online presence of community and still have the same interactions that the Acts 2 passage talks about. We can have fellowship online in conversation or through messaging. We can use facetime or skype. We can share a meal together even online. Funny when you see someone’s attempt at a meal and you see the family attempting to eat it, you feel you are there with them. Just not as much on the tasting of the “good” food. We can pray together. I have had more prayer conversations online than in person just because of overall availability of either party. We can support, hold accountable etc etc from an online presence as well as in person. So this leads me to an overwhelming thought. Instead of trying to fit people into a dynamic that we feel best as community why not develop other opportunities for people to be in community. It may be the only way that vs. 47 gets accomplished. If God is the one saving people, then why shouldn’t we be giving people the opportunity in any capacity we can. It is time to rethink community. As I was reading today I read a familiar Scripture about Zacchaeus the tax collector in the tree from Luke 19. I read it a few times thinking I might grab something new. What I see in this passage is about a man who puts himself in the position to receive what Christ had to offer. Luke 19 says that Jesus was just passing through Jericho. When He saw the man in the tree Jesus didn’t just keep on passing by but He stopped and asked Zacchaeus to come down from the tree. It was then that Jesus said “I must stay in your house today (vs. 5).” Here is this low life tax collector whose position had put in a place of wealth but also a bad reputation with those around. However, even this person who in his time a low life found favor with the Lord. Why? I ask that question…because he put himself in the position to receive. He could have ignored Jesus coming but something in him had to see Jesus. He was short so looking over the crowd did not work. So he found this low hanging tree and with all he had climbed the tree to see Jesus. What ensues is Jesus says that He must go to his house. Now the question comes back to me and all of us. Are we putting ourselves in the place to receive something from Christ. Christ is looking to go to “our house (heart),” and do we put ourselves in the place to allow Jesus access to that. Here is what is amazing about this story, Zacchaeus is like me not worthy of what Christ has to offer. Zacchaeus uses all he has to see the Lord and the Lord recognizes him. Do we put ourselves in the place to receive and experience Christ and His Holy Spirit? Sometimes we have to humble ourselves and position ourselves. It might just be praying, reading Scripture or just meditating on HIM. Zaccheaus did just this…his position was the best possible spot to encounter Jesus. Our position matters. Join me in getting ourselves in the position to receive something amazing. It has me wondering and contemplating the movement of the Holy Spirit in this world today. I struggle with the lack of faith in my own life with things like the supernatural. However, I do know that God does move and I know that God is looking to transform people including a big guy like me. As I do ministry in my church and community what I want to see is the Holy Spirit move in some crazy ridiculous ways. I want to see the Holy Spirit invade lives with the message of Christ through me. I want to see people’s faith restored, life healed and even physically restored for the glory of God. So I go back to the passage and I ask myself the question…how can I help Christ and the Holy Spirit in this world today, right now even as I sit at Starbucks? 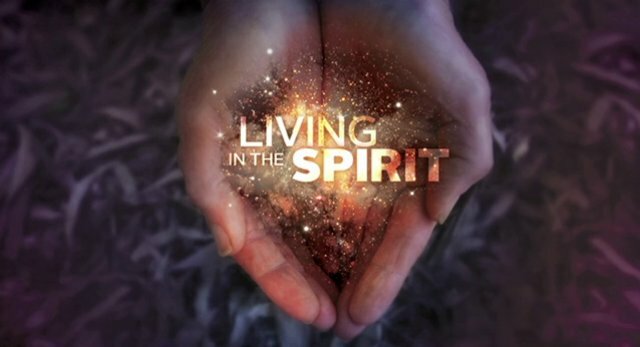 What I sense is that Holy Spirit is going…..yes….going to move in FAITH. It is faith that restored a blind man, it is faith that healed a women with a blood issue, it is faith that forgave a woman in a sinful life, it is faith that saved me. So maybe I need and we need to work on faith to live in the supernatural. The supernatural can happen and it can happen through faith in what the Holy Spirit is doing in this world. If we believe so much in what the Word tells us and we believe so much in faith that God can transform anyone then why not believe that and make a difference in the world. Ok God, help my faith….help it grow…beyond the capacity of this worldly view and into an eternal viewpoint. I come to you humbly asking for you to transform this big goofball that I am into an even bigger faith-filled, Spirit-led, redeemed man of God. I submit to Your authority and to Your ways. I ask you to move in faith. Lord it doesn’t matter if I am leading, preaching or worshiping…I just want to be in the room when you are moving. So what is it that transforms the church into a place where life happens, transformation happens and natural growth happens? We are that transformation…or at least it happens through us. Part of this is a focus on the priority of the church and that is Christ and Christ alone. I know we all have great programming and great abilities but if the church takes a step back it will see that the focus on Christ will change more hearts and minds. It will change things way more than great vision or mission statements, more than programming and even more than money in the bank. This is not an easy thing to do but what is it that the church is in a desperate need of and what is it that has caused other great churches to grow and flourish? It is a focus on the Almighty. The leaders can have the best set of plans, been to all the training or conferences in the world and unless the church and its leaders are in a place where the focus starts on their knees and asking God to move in the church and those in the church then the church will lose the importance of the Gospel message. Growth beyond any threshold (100, 200, 300 etc.) will stall or not even happen until the priority is in place. I keep hearing this resounding sound of the first part…”if.” If my people. In this we are called to do multiple things. It all starts around the call of humility. We are not greater than anyone around us, we are not greater than anything in this world, in fact the Gospel calls for us to be less. My HE increase so that I may decrease. Be humble, pray, seek HIS face, and turn (repent). Amazingly this is the call or honestly the cry out to the church. It is a call to get back to the roots of seeing Christ as the greatest and biggest thing in this life and in our own churches. Then it is a time to seek the face of Christ and pray. If the church can’t do this, then the church will not succeed in the calling that has been placed upon it. Verse 14 then continues with the word “then.” “Then” God will hear from heaven, “then” He will forgive their sin, “then” He will heal their land. I love the ‘then” statement but that statement can’t happen until the “if” things are in a process of motion. Verse 15 then states “NOW” My eyes will be open and My ears attentive to the prayers offered in this place. What a great promise to the church once it beings to take the focus off itself and to a place where it focuses on the priority. It is a season and a time to focus on Christ, hit our knees, repent of our selfish ways, seek HIS face and let’s change the world for the name of Jesus. So we are on this evangelism topic and one question I keep asking is how we transform all those who love Jesus more than anything into people who love to lead people to Jesus. I don’t know about you but I love coffee and eating. Daily I see myself in a place where I can find one or even both. So as I thought about this I kept thinking that maybe this is the mission field I am called to. Maybe this is the easiest way for each of us to leave a Christ like impression in our communities. 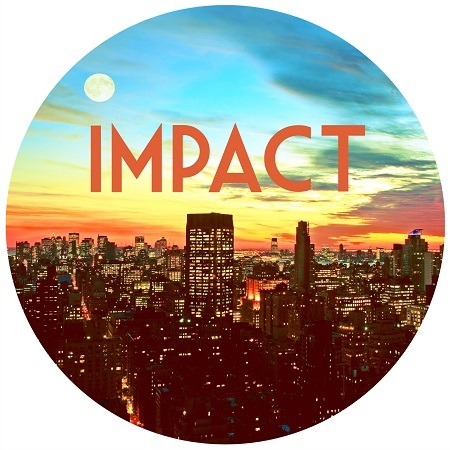 Think about this…we go to the same restaurants, same coffee places, same grocery stores and other establishments and what if our intentional engagement is in the lives of those in these places. How is your day here at __________ coffee place? So do you like working here at _____________ grocery store? Man I love that bracelet does it have any meaning? Or whatever other conversational questions….. It is part of who we are to discuss, talk and just be in conversation with people. People will surprisingly come out of their shell and engage you. My wife and I were getting some items at Walmart a couple weeks ago and we struck up an intentional conversation with a lady in one of the departments. The conversation began with just how is your day and then eventually led to us talking about families and then……a talk about her son with cancer. Can we say God ordained appointment? We, in that moment in the middle of Walmart prayed for this wonderful lady and listened to her heart and her expression of thanks through words and tears. We knew that this would have never happened if we had not talked to someone intentionally at a place that we frequent often. Can I challenge you? Talk to people and then use what I call “Holy Listening.” Listen to hearts, stories, lives and hear the joys, hurts and pain and allow God to move though you in that very moment to transform another person. The largest piece is that we are in that brief or not so brief moment the Christ-like example to someone in their life.